The luxury of riding in a limo is great in that people can do all kinds of things in a limousine cabin without being seen by anyone. The privacy partition obviously keeps people from being spied upon by the driver. The windows are also tinted for everyone’s privacy. 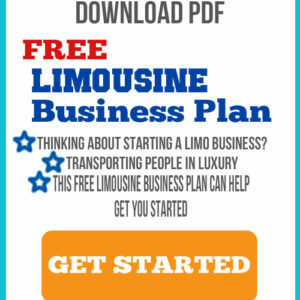 That second point is important for all potential limo owners to see. When finding a limo, you will typically find options that have tinted windows. These are windows that are designed to where people cannot easily see inside them. This is what causes that black color on the windows when you look at your limo from the outside. This create a stunning look that mixes in well with the entire body of your limo but there is much more to your tinted windows than just creating a darker and more appealing tone. You need to see that the windows on any limo you are interested in are properly tinted. Most limos these days already have tinted windows so it should not be a problem. Still, you might need to get an upgrade to tinted windows if any limo you are interested in buying doesn’t have them. Tinted windows will add a bit of luxury to any limo. These are also easier to work with as they will keep people comfortable and will not break apart all that easily. What makes tinted windows so dark and brilliant? It involves a process that uses several steps to make these windows look their best. First, you will have to choose a proper tint. The tint should be determined based on the opaqueness of the black color and how much light is to be let in by the window. This is all done with plenty of cleaning processes in mind. The windows will have to be cleaned off consistently as any excess dirt or particles on them can ruin the tinting process. Those foreign particles will only get in the way of your windows. The key part of making one of these windows involves the use of a proper compound known as window film. This is responsible for creating a good color. But that film will have to be added properly and measured to where it will fit in well within your vehicle. Window film is used as the key component that keeps your windows tinted. Window film is a laminate or other feature used in a window to create a darker overall tone. It is typically made of a polyester material to keep it strong and stable. The film is added into the window during the manufacturing process. The film is used in a base that the glass components will be crafted around. The tint is created by the film as the glass evenly covers it. That base is especially created by having the glass dyed with a darker pigment. This establishes a deeper color on the glass when used right. The tint is also adjusted to where the film is clear on one side and opaque on the other. The amount of darker pigment spots that are added on the lighter side is not as strong, thus allowing the tint to look a little better and more detailed when used right. This allows people to still see out of the vehicle but to still keep the vehicle from being easy to see into from the outside. Sometimes several layers of polyester are added to ensure that the tinting process is done well. This is often for cases where the tinting has to be a little darker. This process ensures that the window film will go over the entire body of the window. This should be used carefully on the passenger cabin windows though. While this can work on that part of the vehicle, it may not work on the front area as you will see in a moment. How Big Is the Film? The film used to tint your windows should be about an inch longer in length on all sides of your limo. This ensures that it will have enough coverage so the entire limo will be protected from bothersome rays. The film is not all that thick either. It is typically a few centimeters thick as a means of creating a good enough base. When applied well enough, it offers a stronger setup that will be easier for the user to enjoy having inside the vehicle. How Much of a Tint Is Needed? The tinting that works with the windows should be controlled so it will still be easy for people to see outside the windows. A tinting is often used to where about 15 percent of visible light can get into the cabin. Meanwhile, the glare will be mostly rejected so it will not be a distraction to anyone within the vehicle. The tint should work to where people can still see outside. The 15 percent standard for keeping a majority of light out is appropriate as it allows the windows to stay dark while still letting the people on the inside see what is in an area. You must look carefully when finding a quality tint to see how well it is made. You can always talk with an auto body shop to see how tinting works and how different tints will be visible on the outside and inside. While it is true that your limo will probably have some kind of tint already on its body, you will have to get a new one eventually depending on the age of the limo and whether or not the old tint has worn out. This is a point that will be discussed a little later on here. What About the Front Area? The front area that you will drive around in should not be tinted all that much. You can always use a slight bit of tinting to where about 80 percent of light will get into the front seat area. This keeps a bit of visible light out of the way and keeps UV rays down but it will not make the vehicle impossible to see out of. Be advised though that some windows may not be tinted. This is due to various laws in different states. The front side windows cannot be tinted in the state of California, for instance. The front windshield can use a small bit of tinting though but it has to be within a reasonable limit like what you read about just now. Tinting is always dangerous in the front area as it can reduce your overall visibility when driving. While a small tint may be used if only to keep the glare under control, you will have to watch for how well the tint works as well as whether it will be legally accepted in your area. The darker tone on the tinted windows ensures that the windows are opaque in their outside appearances. This keeps people from spying in on what’s inside a limo. This offers a striking appearance all around the limo. It mixes in well with a black exterior or can create a beautiful contrast on a white exterior. The strong body and materials used for tinted windows will keep heat from moving into the cabin too quickly. This keeps the passengers cooler and comfortable. It also keeps them from having to keep the cooling on far too much. UV rays from the sun can be blocked by the materials in these windows. UV rays can cause burns and are especially dangerous in the long term. By keeping these rays out of the cabin, the windows will protect people from possible harm. It is harder to break tinted windows than it is to break other ones. This comes as tinted windows are fully reinforced. During a wreck, the tinted windows will be more contained. The glass will not spread out and shatter quickly. In some cases the glass might be completely unharmed during the wreck. These aspects prove that great tinted windows are good for more than just looking attractive. They are also to protect the vehicle. Tinted windows can last for about ten to fifteen years on average. To ensure your windows will last that long or even better, you will have to be gentle on your windows. Washing them with a safe soap material or even with vinegar is always a good idea. Keeping these windows clean is important to allowing them to stay vibrant and protective. You should avoid anything abrasive on your windows as such items can cause the film to wear out. Also, you must avoid chemicals on your windows as those will cause the protective barrier to wear out. As it weakens, the barrier will stop working properly and will be lighter in tone. You must get the barrier fixed up right so it will not be any harder to handle than it has to be. You should definitely take a look at tinted windows for when you’re getting your limo ready. You should look properly to see that the windows on your limo are organized with the best possible tint. When used right, your tinted windows will offer a better total look that stands out. Make sure you look for these and that you also take good care of them when you actually have them in your limo.